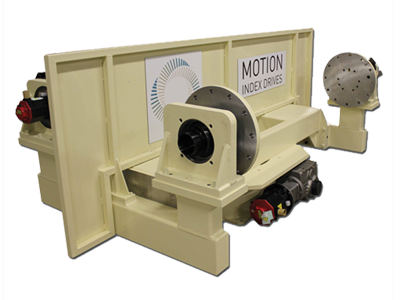 The Motion Index Drives DR-TR Series dual trunnion positioning system utilizes our high capacity “zero backlash” TMF rotary turntable for the 180° exchange which creates accuracies of 9 arc seconds and repeatability of 2-3 arc seconds. 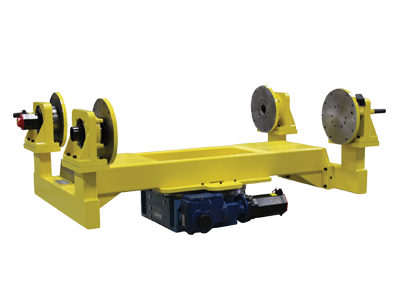 The unrivaled accuracy of the TMF indexer eliminates the need of “Shot Pin/Wedge” devices that are required from other manufacturers for high accuracy on their 3-axis (H-Frame Positioner) dual trunnion positioning systems. 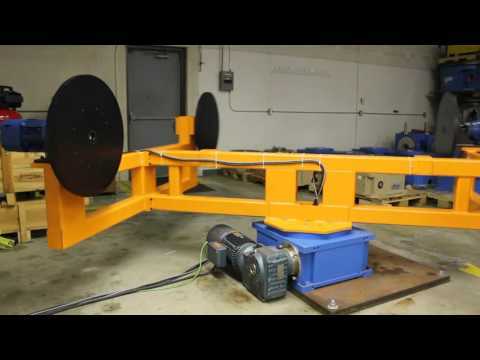 Utilizing MID’s TR Series servo gear head with high torque capacity, for the dual trunnion headstocks, allows for a 2 second 180° rotation on a load of up to 4000lbs per side and 3 meters between faceplates. 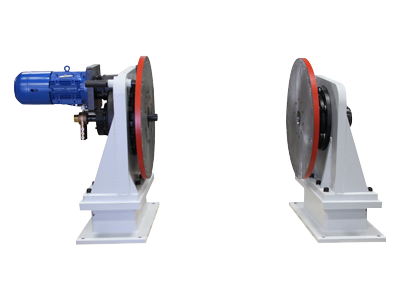 The TR Series tailstock features a large 90mm through hole for customers to run utilities to their tooling and fixtures. 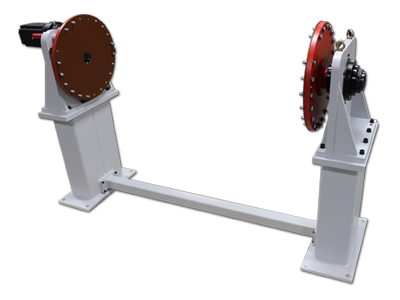 The DR-TR Series multi-axis positioning system is constructed with strength and reliability in mind. 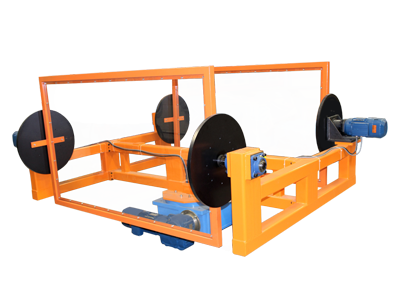 Robust design and components ensure this device will maintain precision in intense factory settings.